What a wonderful way to welcome in summer--four of us sat for an hour outside in our inner courtyard and watched over 75 Night Blooming Evening Primroses open, as the sun set during the first hours of summer last night. 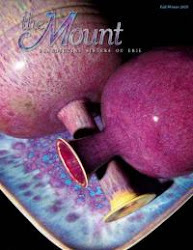 Don't miss our summer issue of THE MOUNT magazine that is now online on our community's website. Also, Mary Lou's latest blog entry on the monasteriesoftheheart.org page is wonderful. It's a "tribute" to recently deceased Ray Bradbury. Great comments by readers also. My new series, "Mailboxes of East Lake Road" continues.